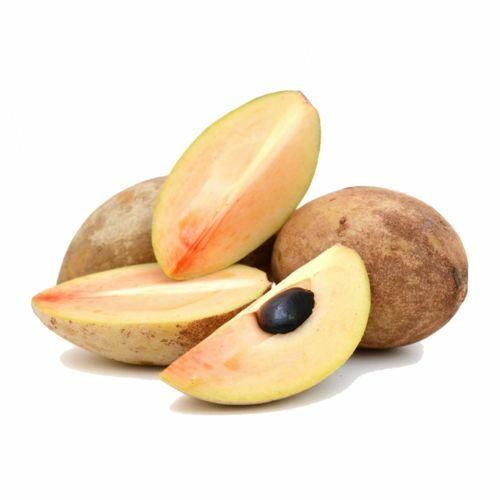 Sapodilla also is known as Chikoo or Sapota, is a very familiar fruit generally belongs to the family i.e. Sapotaceae. It is also called as Naseberry, Mud Apples, and Sapodilla Plum. It is generally a delicate brown fruit having a sweet and yummy taste. It consists of black bean-shaped seeds and its texture is similar to that of a kiwi fruit. Sapodilla or sapota (Chikoo) is composed of soft, easily digestible pulp made of simple sugars like fructose and sucrose. Let’s see some of the amazing health benefits of sapodilla fruit here on this page. Sapota is a small, sweet, delicate, and nutrient-rich fruit that helps us keep our body weight under control. It consists of an easy-to-digest, soft pulp loaded with fructose and sucrose. Chikoo improves our metabolism by reducing gastrointestinal issues and enhancing the process of digestion. These are very much essential for promoting weight loss and averting obesity. The Sapodilla fruit is high in fiber content. This makes the sapodilla fruit very good for digestion. It is also used in the treatment of constipation. Sapodilla is very high in dietary fibre, which makes it a wonderful laxative. It aids in the movement of bowel through our gastrointestinal tract, thereby facilitating digestion, reducing abdominal gas, and curing constipation. All these help in losing weight faster as well as in an effective way. Chikoo is loaded with the antioxidant vitamin C, which adds to its detoxifying properties. The fruit can help our body get rid of toxic materials, which smoothens the progress of our weight loss journey. The consumption of Sapodilla fruit benefits in reducing the level of infections. It helps in lessening viral diseases in addition to bacterial infections within the body. It also decreases inflammation caused by swelling and helps to ease pain. Chickoo is abundant in fructose and sucrose. It is a good source of dietary fiber, rich in calories, provides about 83 calories per 100 grams. It contains tannins, the polyphenolic antioxidants and a number of minerals like iron, magnesium, calcium, phosphorus, copper and potassium as well as the Vitamins A, C, thiamine, niacin, pantothenic acid, and folate. Chikoo is good for Heart as the magnesium, calcium, and phosphorus present in it keep the bones strong while the magnesium benefits the heart and blood vessels. The seeds of the Chikoo that you generally throw away contain diuretic properties. The crushed seed of Chikoo which is beneficial in eliminating the stones from your kidneys. Enough quantity of Vitamin C in Chikoo makes it very effective against a cough and cold. Having this fruit on regular basis is beneficial in curing the chronic cold infections. Health Benefits of Sapodilla: Chikoo is helpful during pregnancy as it prevents cases of morning sickness. It boosts the function of electrolytes in the nervous system. Sapodilla is good for eyes as it is a good source of Vitamin A which naturally aids in improving the eye vision. This fruit is rich in calcium, iron, and phosphorus. Moreover, this fruit is perfect in increasing and strengthening the bones. Chikoo consists of sedative properties. Because of the presence of the sucrose contents in Chikoo, it helps in calming the nerves at a larger extent, and stress relief is possible. Health benefits of Sapodilla in Weight Loss: This fruit helps in secretion of certain digestive enzymes which is beneficial in speeding up the metabolic rate. When your rate of metabolism is high, indirectly you lose weight.